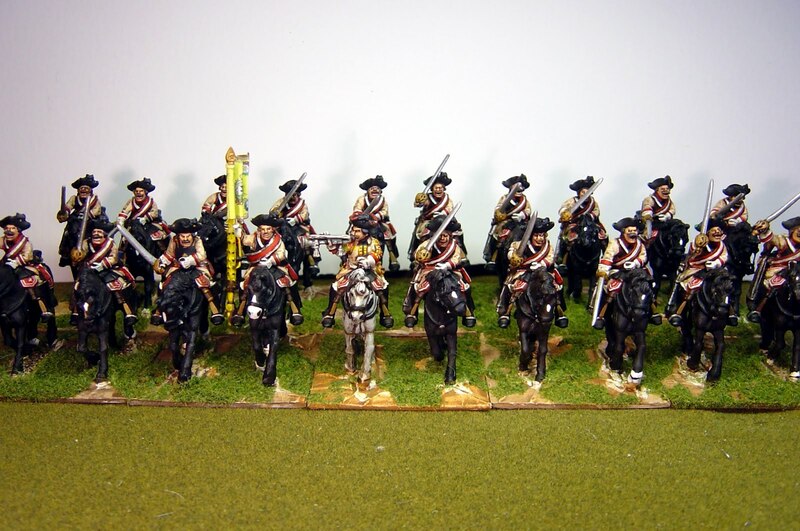 The 1st Prussian Cuirassiers of the WAS/SYW period, also known as the Buddenbrock Cuirassiers. Figures are by Foundry and are the old charging figures with separate right arms, which allow for a wide variety of arm poses, and which is why I think these are really great figures. I have another Cuirassier Regiment to paint soon using the new figures and I'll show you the results. For the life of me I don't know why a company like Foundry would take a brilliant sculpt by Copplestone and tinker with it to produce a lesser next generation but I can only suppose it relates to moulds and making life easy for figure production. On the subject of the Greenwood & Ball new Russian booklet, it is at the printers as I write this so we are very close now. 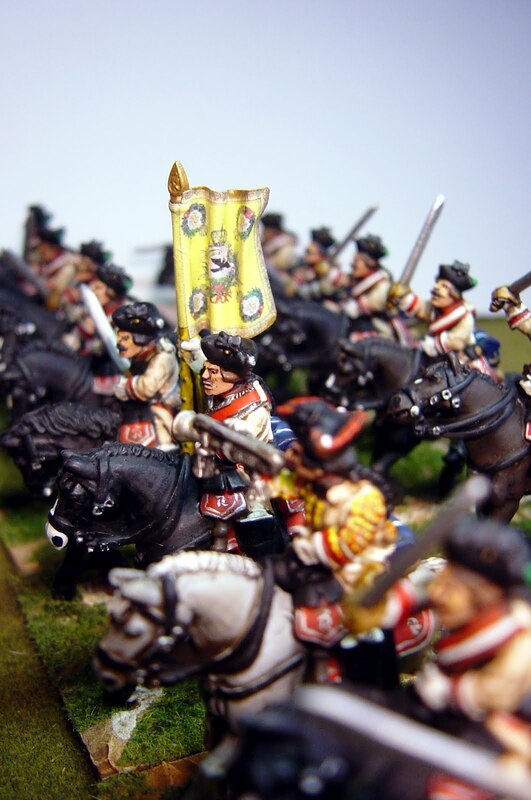 A very impressive prussian unit! 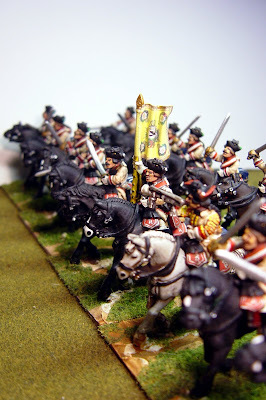 Beautiful painting on these guys. Nicely done! 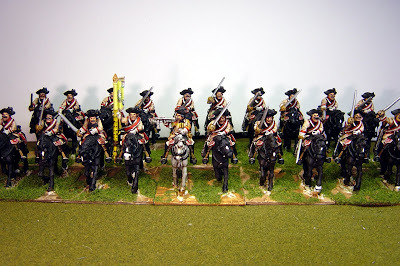 A splendid looking unit. 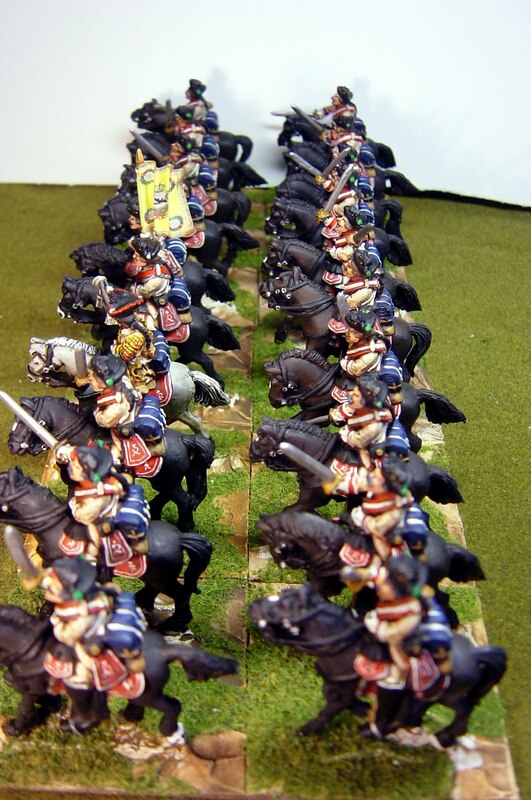 What do you plan for the other cuirassier unit to be? 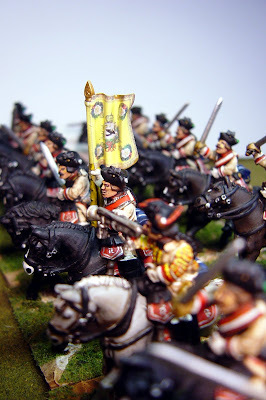 I have these guys in Old Glory 15mm, but I'm rapidly coming to appreciate painting figures in 25mm.